The Medical Terminology Online Training Program will teach you to understand not only medical terms themselves, but also their application. You'll start by learning the origins of medical words and how to recognize prefixes and suffixes used in medical terminology. Then you'll learn about the body as a whole and how to differentiate cells, tissues, organs, systems, and cavities. Next, you'll learn to define and describe the function of each system of the human body. 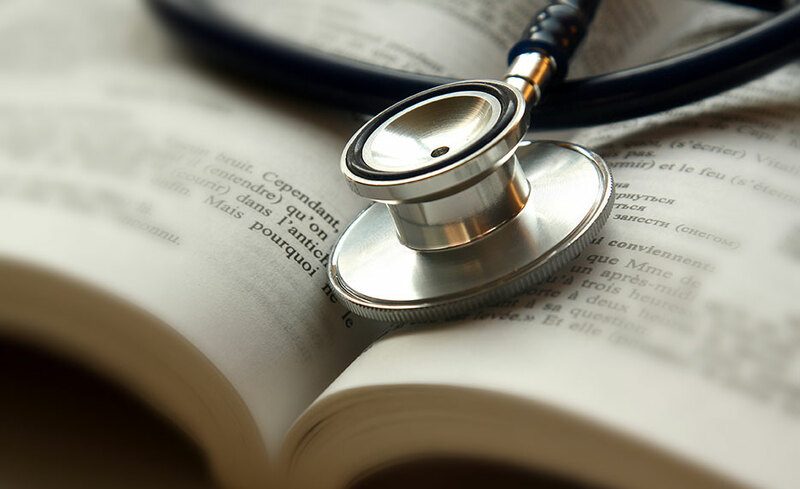 This knowledge will help you take the next step in your medical career or education. There are no specific prerequisites for this program other than basic computer skills and an Internet connection. If you need a deeper understanding of medical terminology for your job or as a prerequisite for further education, this program is for you! Carline Dalgleish has been employed in the medical business office management profession since 1970. She began in the medical records department of the Army/Air Force Hospital in Nuremberg, Germany and has performed accounts receivable and business office management services for physicians, clinics, hospitals, and Medicare. She has real-time experience in administrative and financial departments, as well as management experience in business office administration, regulatory compliance, and information technology. She is also a subject matter expert in administrative medical assisting and medical billing and coding. In addition, she has created the curriculum for and taught many accounts receivable and accounts payable educational programs, with an emphasis in administrative medical assisting and medical billing and coding. In the early 1990s, Ms. Dalgleish moved full-time into curriculum development, teaching, and management of business and allied health education programs, with special emphasis on medical business office administration and management. Ms. Dalgleish holds a bachelor's degree in business information systems and a master's degree in leadership. She is an AHIMA approved ICD-10-CM/PCS Trainer and is a member of the American Health Information Management Association (AHIMA) and the American Association of Healthcare Administrative Management (AAHAM). She owns her own consulting firm, AnnGrant Education Services, Inc., and is currently completing a textbook on the new ICD-10 coding system. Yes, this program is Mac compatible. I liked that I got to do everything at my own pace. If I wanted to take a couple days off, I wasn't worried about not getting work done or having to take a quiz or anything…everything was straight and to the point, the representatives were extremely helpful in getting the whole process started, and all-in-all a very good class. I look forward to taking more. The course was easily accessible, simple to follow, and covered a wide range. I appreciated all of the practice quizzes and worksheets at the end of each chapter. This really helped me to remember what I had just read. I hadn't taken a class in about 20 years! Gatlin made it easy for me to get back into the swings of things! I loved that this was a self paced program. It made it easier going at my own pace. Also, I loved the flow of the course chapters. I appreciate that I could work at my own pace. I could easily access the materials where and when I needed to. This was my first online course experience, it was both effective and simple to follow. I would not shy away from taking another online course. Carrie Stein was knowledgeable of the subject matter and always quick to completely answer my questions. Medical Terminology was a great course! Great course content and very convenient to learn. I liked the different exercises/puzzles to learn the material. I usually feel intimidated when taking online courses, but I didn't feel intimidated with this one. It was a well organized course. I enjoyed the course and I feel I learned a lot of new things.